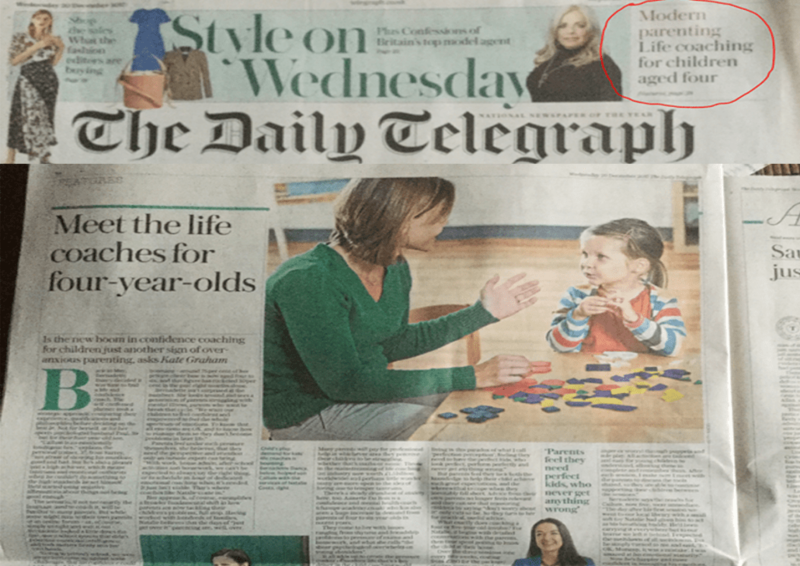 CHAMPS Academy head-coach and founder Annette Du Bois featured in The Telegraph newspaper about the massive growth of Life-Coaching for kids with an article called ‘Meet the life coaches for four year olds’. The thoughtful article confirms why more and more parents are hiring in a kids life-coach to help their child or teen — no matter what their age. Also, the topic was discussed on @LooseWomen today triggering lots of buzz on Social Media. Calm Your Childs Anger with this Video Exercise Lewis Hatchett about Overcoming Challenges in Sport and Life.